OBVIOUSLY, the answer to BEST CAR MUSIC is completely personal, but what SONG or GENRE comes to mind with you think about your Boxster? And what do you play the MOST while driving? MUSIC ONLY, don't say "talk radio". For no logical reason, I keep hearing TOM SAWYER by Rush - and I am not even a fan, but it will be the first song I crank up when I pick it up my new ride tomorrow. Otherwise, mostly instrumental will be wafting out: Atmospheric Breaks (causes speeding and tickets, not recommended but I like it), the basics of Classic Jazz, Trance, Chillwave or Downtempo, Sade, Nickleback, and more! I am 90's rock/grunge guy. STP, Soundgarden, NIN, Alice in Chains... plus the local alt radio station. Now.... when I am at the base of the twisties, or strapping on my helmet for Autocross...... Metallica all the way. I Can’t Drive 55 by Sammy Haggar! Or ZZ Top. and if you really want to slow it down, check out the soundtrack work by jonny greenwood, cliff martinez, mica levi. if you like rush (ie, 'prog') and jazz, check out the interface of the two - early fusion - atlantis by mccoy tyner, gateway by dave holland, and of course bright sized life. and the best modern prog i've heard recently is the album reflections of a floating world by elder. ...wow you guys can actually hear your sound system?? We seem to have similar musical tastes..... I saw 'GoGo Penguin' at a small venue during the Jazz Fest last summer. Simply amazing. Another act in that genre is 'Fox Capture Plan' If you are really into Prog/Jazz/Fusion check out 'Ambient Jazz Ensemble' or 'Dean Watson'. For a harder edge and real virtuosity listen to anything by 'Tribal Tech' from the 90's through the 00's. And for a jazz/rock guitar send up pick up Lee Ritenour's 'Six String Theory' with Slash, Lee, Neal Schon, George Benson, Keb Mo and others. It is a superb album to drive to. Cool Variety here! And I have some new music to hunt down. 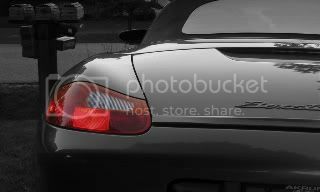 After posting, I pondered how I always shut off all in-game music in racing video games, so betting I will do some of that in the Boxster also. I DO love the sound of the motor working with the shifting and all that. Tom Sawyer is a magical, time changing song. A hearty Amen to that! Especially if it's Lowell George-vintage LF!